A.L.S. is a supplier and manufacturer of lighting systems as well as a service provider of lighting concepts. The main focus at A.L.S is the production of lighting elements, lamps and accessories. In addition to the extensive program for indoor and outdoor lighting solutions, the excellent price-performance ratio and short-term delivery capability are among its strengths. 6W LED downlights with IP65 protection COB for 60mm mounting diameter. Versions Alu-matt, white and as well 2700K, 3000K and 4000K. Rigid. 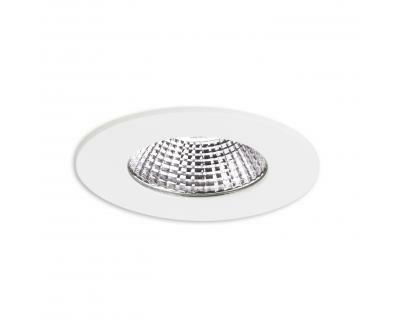 Stylish 6W COB LED downlights for 68mm mounting diameter replaces 50W halogen spotlight. Versions in Alu-matt, white and as well as 2700K, 3000K and 4000K. Stylish square swivel 6W COB LED downlights for 68mm mounting diameter replaces 50W halogen spotlight. Versions in Alu-matt or white and as well as 2700K, 3000K and 4000K. Square 6W LED Downlights with IP65 protection COB for 60mm built-in diameter. Finishes Alu-matt, white as well as 2700K, 3000K u. 4000K. Rigid. Well-designed LED-Downlights 7W COB. Execution in white and 2700K, 3000K u. 4000K. Individually adaptable through matching accessories, different ballasts selectable. Glare-free LED recessed ceiling light 13W dimmable via phase dimmer, 1-10V, DALI, touch dimming.